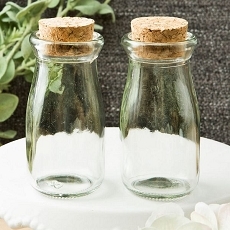 Welcome your guests to their tables with a thoughtful treat inside a vintage style milk jar. It will bring back fond memories of Grandma's kitchen! 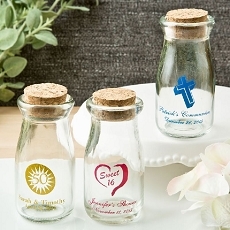 These charming milk bottles are made from glass and have a round fitted cork top. The bottle can hold about 3 1/2 ounces of liquid. 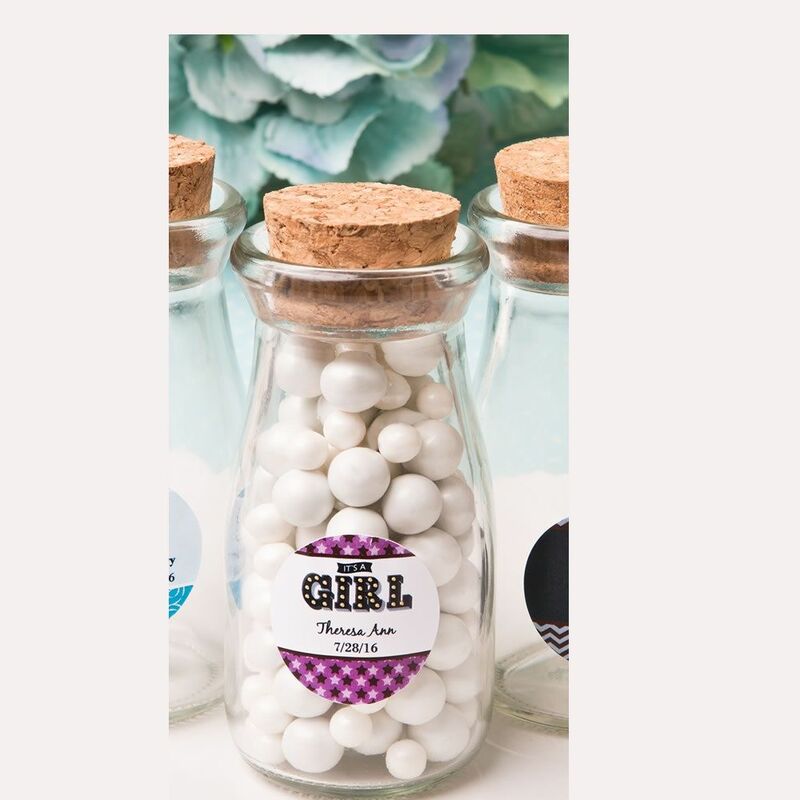 Add extra appeal when you personalized the bottle with a label in your choice of color combinations, themes and border styles to match your event. Use our unique label designer tool and preview your very own creation before you purchase. Labels come on pre-diecut sheets size 8 1/2" x 11"